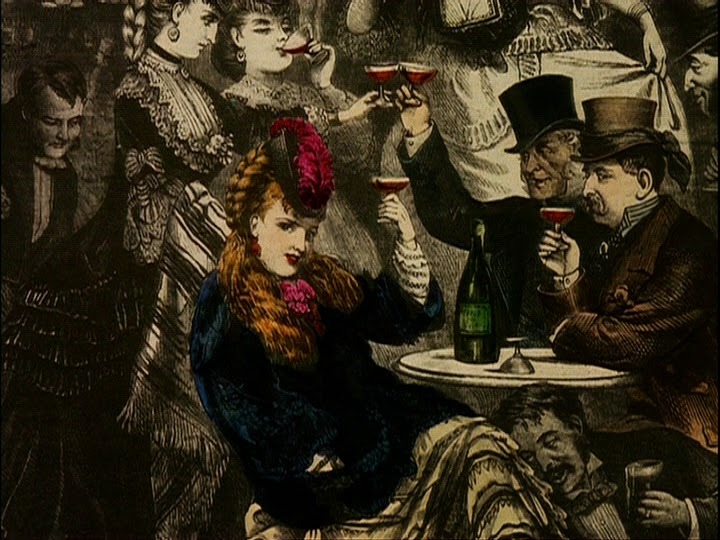 Wouldn't you like to get away where everybody knows your name and, if they aren't glad you came, they're at least not totally opposed to the idea? Have you considered getting a beer at a dive bar? Neighborhood pubs are a great place to rest and relax with your closest buds over a cheap cocktail and maybe avoid the destruction of the planet or, conversely, plan to take one out. Either way, you have some fantastic choices to pick from in the multiverse. Here's a guide to a few of our favorites. 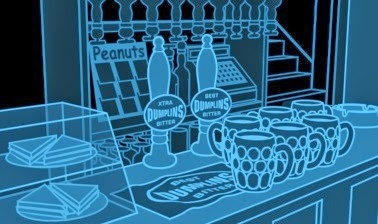 Why we like it: To be honest, it's a pretty unremarkable pub in a pretty unremarkable hamlet except if the world's about to be destroyed by Vogons, then it's an awesome place to spend the last few minutes drowning your sorrows in a pint before hitching a ride. Pro tip: Order the cheese sandwich. You'll thank me later. 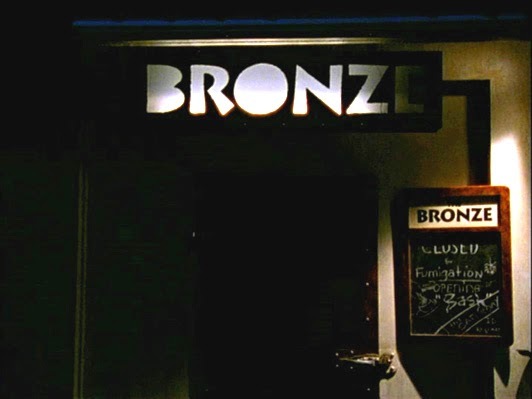 Why we like it: If you're in the area and, like me, aren't a fan of karaoke, then the Bronze is the place to be for the evening... by default as you don't have much of a choice in Sunnydale. It's a one Starbucks kind of town. Their live music is killer (sometimes literally) and they serve a mean cappuccino if you aren't in the mood for booze. Pro tip: Always check the age and pulse of the person you're hitting on. The Bronze is crawling with vamps and minors. Why we like it: Face it. The synthehol version of Four Roses bourbon just doesn't cut it and you don't have much of a choice on a space station in the middle of nowhere. Thank goodness for Quark. The crafty little devil always has bottles of the real stuff if you're willing to pay the price. 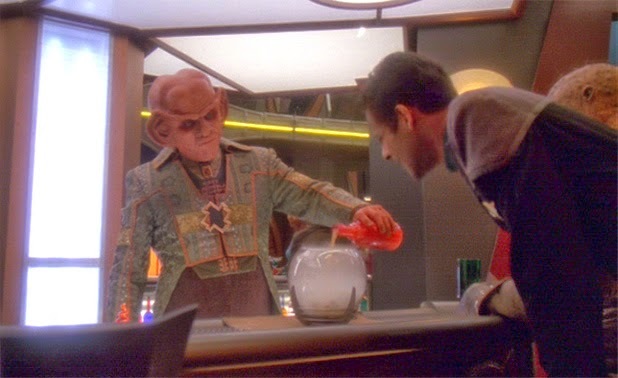 Pro tip: A Ferengi and your money soon part from your wallet. Or whatever. You get what I'm saying; don't get too sloshed that you can't tell when he starts slipping you the synthesized stuff. Why we like it: Hobbits are the bon vivants of Middle Earth so you can trust their judgement when it comes to booze and food. So if a group of scrappy young lads often refer to it as a great place, you know it's worth a visit. Expect to join in on rousing sing-a-longs and table dancing. Pro tip: If four hobbits invite you to go on a quest, don't. 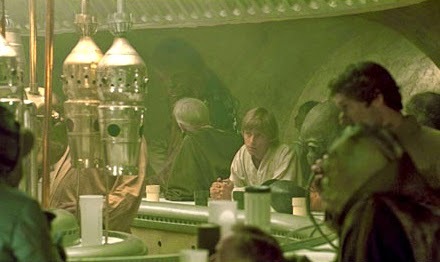 Why we like it: The crowd over at the Cantina can get a little rowdy, but sometimes that's just what we're in the mood for. We're big fans of the house band and the Blue Dwarf is one of their signature drinks. Your chances of having a fantastic night are so much higher if you just leave your droids outside. Pro tip: Always shoot first. Why we like it: Sure, butterbeer's delicious, but it's a child's drink and the Three Broomstick's is absolutely overrun with local wizarding students. 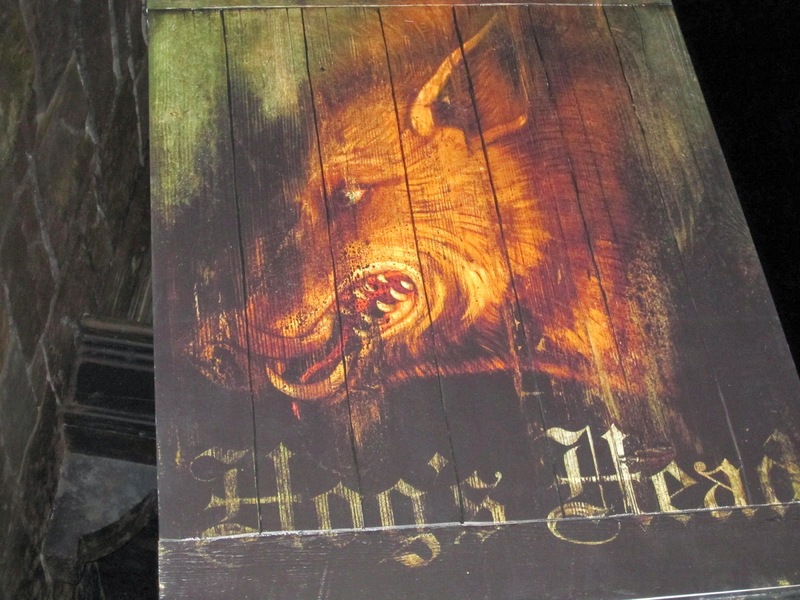 Instead, head over to the Hog's Head. We promise it's not as shady as people claim (even if a number of the patrons keep their faces covered to disguise their appearance). 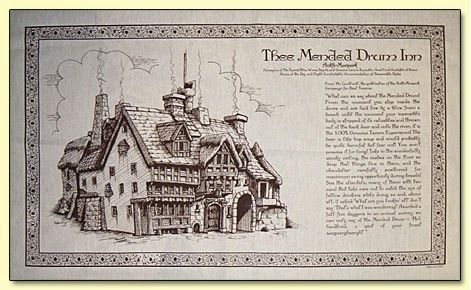 The Inn is positively bursting with historical significance and stiff drinks. It was both home to the human headquarters during the 1612 goblin rebellion and the Hogwart's resistance members, also known as Dumbledore's Army, prior to the Second Wizarding War. Pro tip: If you're friends with Daenerys Targaryen, let her know that the Hog's Head is a solid place to score a dragon egg. Why we like it: You don't go to the Mended Drum for the decor (it's usually ruined by the end of the night). You go for the celebrity-spotting. Some of the most recognizable heroes on the disc on the backs of four elephants on top of a giant turtle moving through space frequent the recently rebuilt establishment. Pro tip: Don't worry if someone steals your house when you stop in for a drink. It's part of the charm. Why we like it: Discretion is the watchword at Callahan's and we can certainly respect that. The empathetic bartender, Mike Callahan, and his regular patrons are there to help, but only if you want to share your problems. Nobody's too nosy and everyone likes a good story. 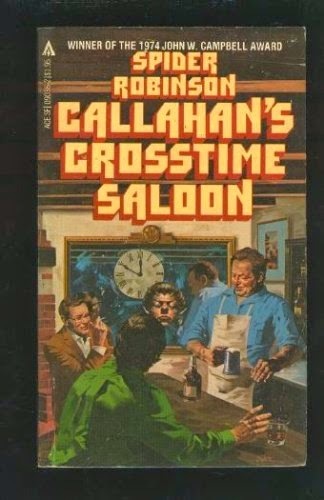 Pro tip: Irish whiskeys are definitely the drink of choice at Callahan's.